Trained in Folklore and History, Bill Ivey is a writer, teacher, experienced nonprofit executive. He is Senior Arts Policy Fellow with Americans for the Arts, and currently serves as Visiting Research Associate in the Department of Folklore and Ethnomusicology at Indiana University. Ivey was founding director of the Curb Center for Art, Enterprise, and Public Policy at Vanderbilt University and from 2012 through 2014 was senior consultant to the university’s Office of International Relations. 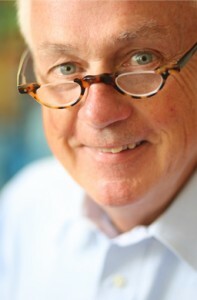 Bill Ivey is a trustee of the Center for American Progress, and was a Team Leader in the Barack Obama presidential transition. He is the author of two books on culture and politics, Arts, Inc: How Greed and Neglect Have Destroyed Our Cultural Rights (California, 2008), and Handmaking America: A Back-to-Basics Pathway to a Revitalized American Democracy (Counterpoint, 2012). Ivey has extensive experience in the music industry. He was director of Nashville’s Country Music Hall of Fame and Museum for more than two decades, and was twice elected chairman of the National Academy of Recording Arts & Sciences. He is a four-time Grammy Award nominee. He is past president of the American Folklore Society, and today serves the Society as Senior Advisor for China. Ivey makes his home in Nashville, Tennessee and Calumet, Michigan.